At the beach road at Scharmützel Lake leading up to Diensdorf Fritz Steuer and his wife Emma Juliane acquired in 1911 a brick manufacturing plant. It was located very close to today’s guesthouse “Café Glück Auf”. Around 1912/13 the couple built a villa there, which was connected to the machine shop of the brick factory. In the mid 1920’s Friedrich Steuer added yet another building, ‘Hotel Seehof”, which survived the GDR years as a vacation center by the name of “Franz-Kirsch-Heim”. In 2006 it was rescued from falling into disrepair, was completely modernized and turned into a 4-star hotel. In 1923 Fritz employed the two Klopp brothers Ferdinand (1879-1952) and Hermann (1892-1937) in his Diensdorf work place. In response to inflation and decreasing demand for building materials the Steuers converted their villa into a hotel. They called it “Gasthof und Fremdenlogis Strandhotel” (Guesthouse and Beach Hotel ). It was here that Juliane’s sister Else Klopp (1895- 1934) got acquainted with her future husband, army defense officer Drusus Stier. 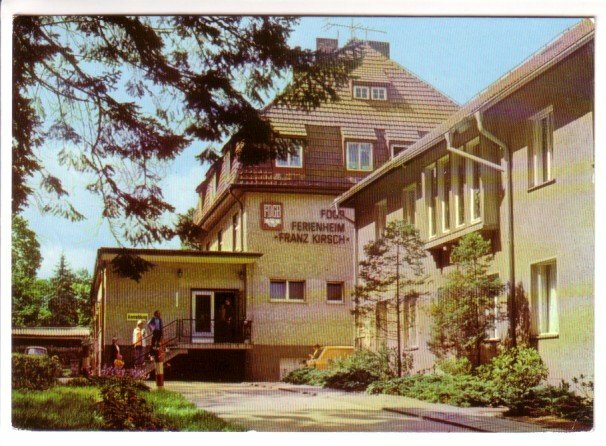 The beach hotel was a favorite meeting place for officers of the garrison town of Fürstenwalde/Spree. Also brother Ernst Klopp, my father, came shortly before his wedding for a longer visit at his eldest sister. 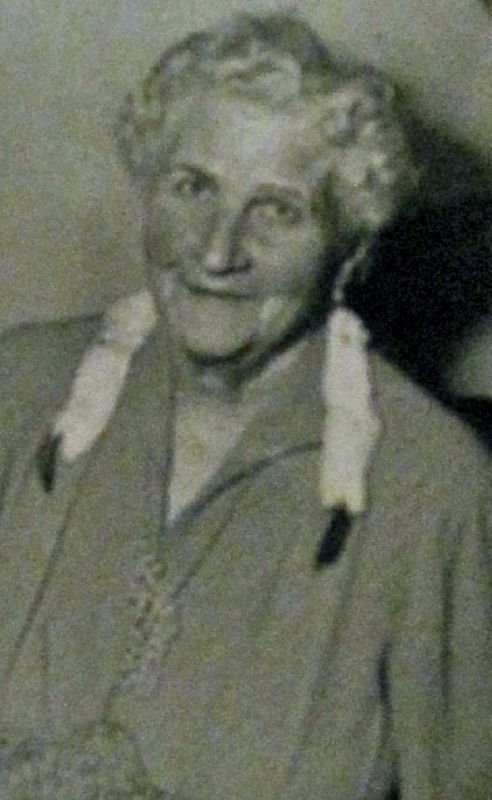 When her brother Hermann Klopp ran into financial difficulties on his estate Breitenberg/Pomerania in the early 1930’s, Jula helped him out with obtaining a mortgage by providing the required security. When Hermann was unable to make the payments, Jula lost a huge sum of money that she was never able to retrieve in spite of the fact that she won several court battles with the creditors after Hermann’s death in 1937. The specter of bankruptcy was looming on the horizon. Eventually the couple lost the factory, the two hotels and was forced to move to Berlin, where with the remnant of their liquid assets they were able to run a small pub at Feldstrasse 2. The childless couple separated, but refrained from formal divorce. Friedrich Steuer died in Berlin in 1934, suffering from lip cancer. 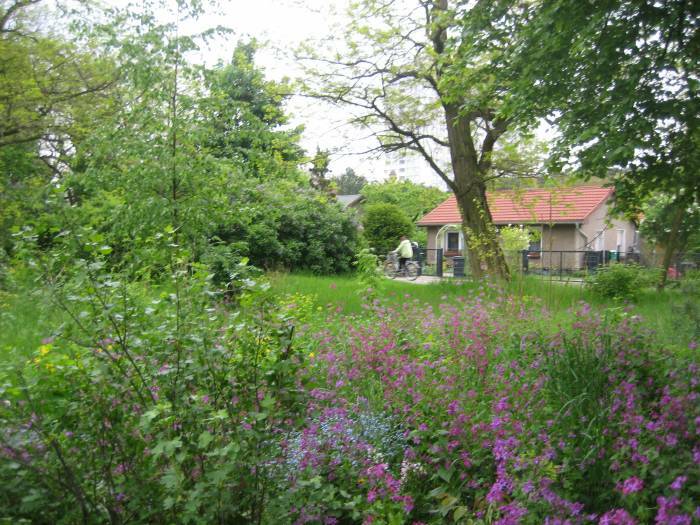 The now 57-year old Jula acquired a house in Köpenick, Am Spielplatz 13. 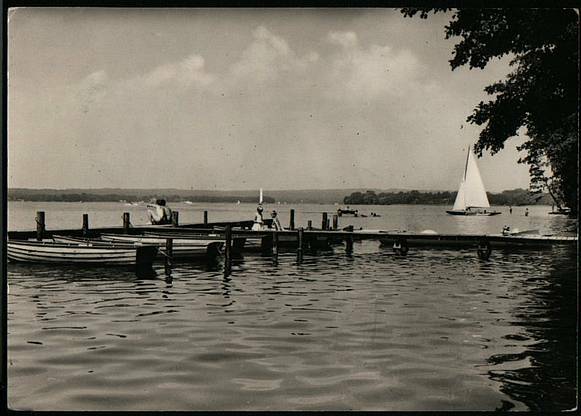 In 1938 she spent some time at my father’s place at the Ernst-Flos-Hof estate in Belgard. 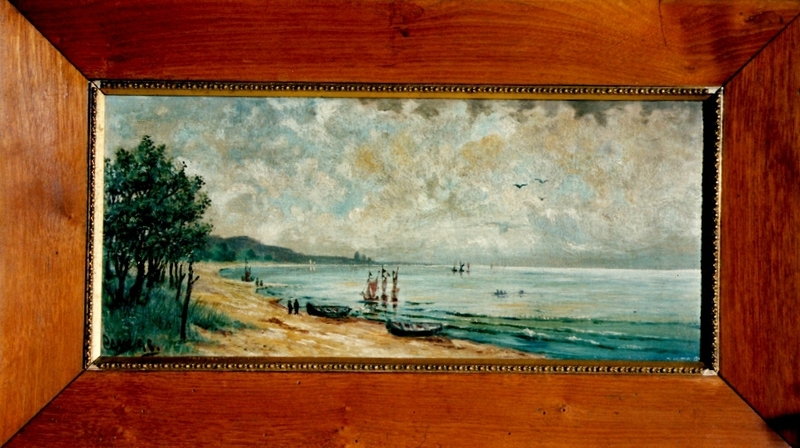 During her stay she created an oil painting depicting a beach scene at the Baltic Sea. Jula survived as widow the Hitler years, World War II, and the early years of the German Democratic Republic almost up to the building of the Berlin Wall. To see an earlier post of my visit to Aunt Jula, click here. After the war she gave up all her properties and retired in the picturesque garden section of Köpenick, where she lived in a modest cottage for the remaining years of her life getting by on a small pension, to which she was entitled from her late husband Friedrich Steuer, from whom she was never formally divorced. From this sad period there is a photo, which shows a friendly, kind, somewhat sad Klopp portrait of an old lady that had seen better days. On account of the photo session she dressed up with a pearl necklace and ermine fur. Completely impoverished she passed away on June 8, 1980 at the age of 83. I keep meaning to ask you if there was anyone in your family with the name Koenig? Koenig or König is a German name and means King. I haven’t come across this name yet in my Klopp family research. I will let you know if I do. Thanks for taking an interest in my blog! Thank you for your interest in my family blog, Mitza!